The title of this post is misleading. 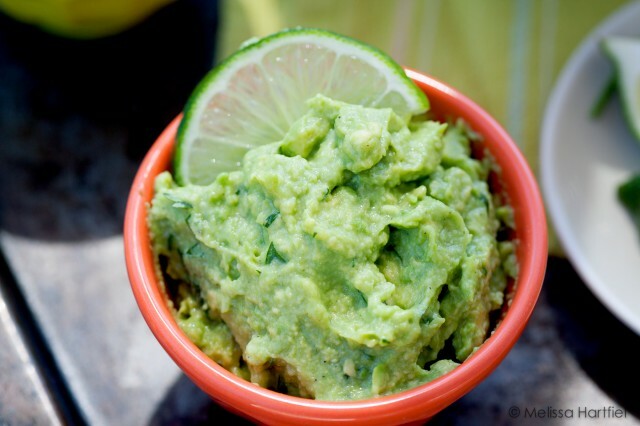 It implies guacamole is difficult to make when it’s actually one of the world’s easiest things to whip up. I’ve been on an avocado kick for the past month. I do that. I go through phases with avocados. I’ll eat them every day for weeks and then lose all interest for months. Unless they’re in my sushi rolls. 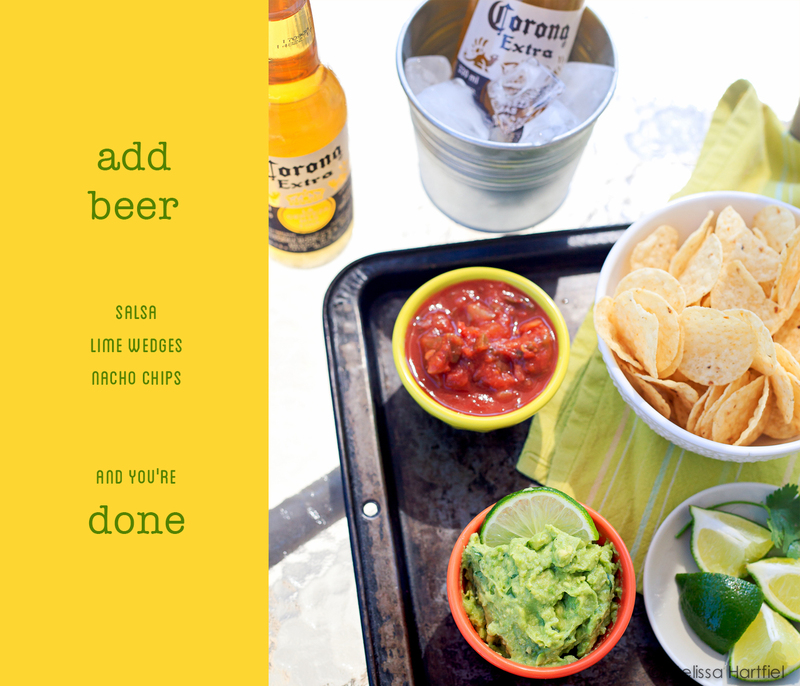 Nothing is better in summer than fresh, homemade guacamole and salsa served up with nacho chips and Coronas with lime. It’s a little too early for fresh salsa – the garden’s tomatoes won’t be ready for a little bit yet – but you can check out my patented homemade salsa recipe. Ok… it’s not patented, exactly… but it is pretty good and could be patented. Just sayin’! Coronas always make me think of a Mexican restaurant in the Soho neighbourhood of London. A friend and I stopped their for dinner one night years ago. I don’t remember what we ordered but we did, of course, order Corona and it came, as you’d expect, with lime wedges stuffed in the bottle openings. Without thinking twice, we both popped our lime wedges down into the beer and had a little toast before our first sips. And then we noticed that everyone near us was staring. We couldn’t figure out why at first until we saw another table’s beer delivered. They all took their lime wedges out of the bottles and put them off to the side. I guess in London, lime is a garnish when you drink Corona! I’d never seen that before and I guess what we did seemed equally odd to them! I made this guacamole, set up the little set, photographed it and post processed the photos all in just over 30 minutes. 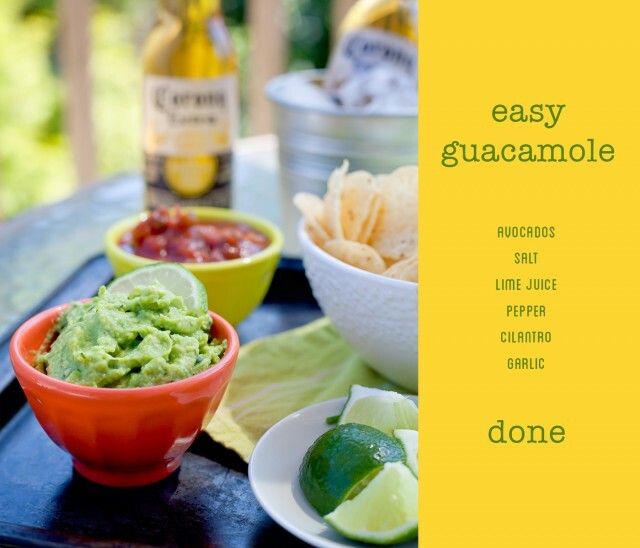 That’s how easy guacamole is! You don’t really need a recipe. Just mash up some avocados with a clove of garlic and add lime juice, salt, pepper and cilantro to taste. But I’ll still give you a recipe just for some help with quantities – but don’t hesitate to adjust to suit your taste. 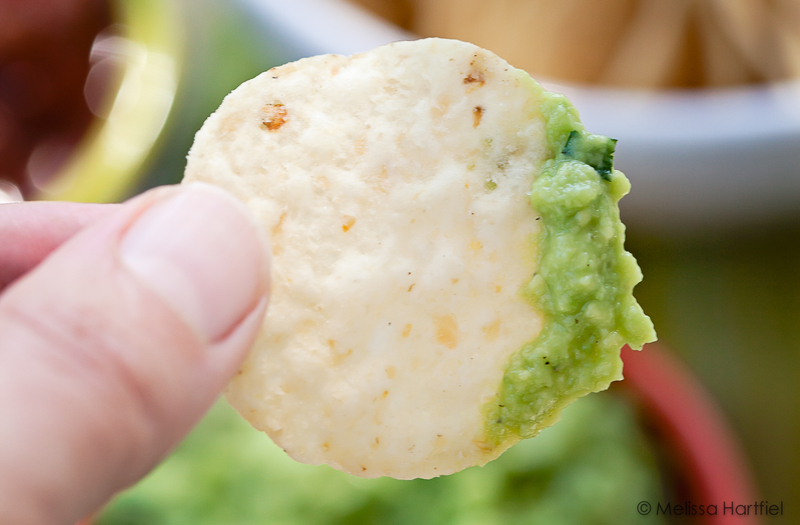 I know a lot of people who’ll put in a lot more salt but I get enough salt from the nachos. And I love fresh cilantro so I put in tons – you may want to scale back or leave it out altogether if it’s not your thing. this recipe can easily be scaled up or down depending on the size of the crowd feel free to add more for a fully loaded version - some people like to add chilies, onions or tomatoes. don't be afraid to experiment. I shot all of these outside on my deck around 3pm. My deck faces south so the sun was still pretty direct but I used the shade of my patio umbrella to help. I still had some prominent shadows but I was ok with that – it helped emphasize the summer time feel of a hot day with cold beer and snacks. I could have lessened them with a whiteboard but I didn’t really feel the need for the feel I wanted to get. If you served up this guacamole at the bar in Soho where everyone was looking at you strange for dunking your lime in your Corona I bet that you’d have more friends in that place than you could count! Gaucamole is a favorite favorite favorite of mine.. your looks so so delicious. Funny that they just set the lime aside in London, sillies.. missing out on the limey flavor in your beer! 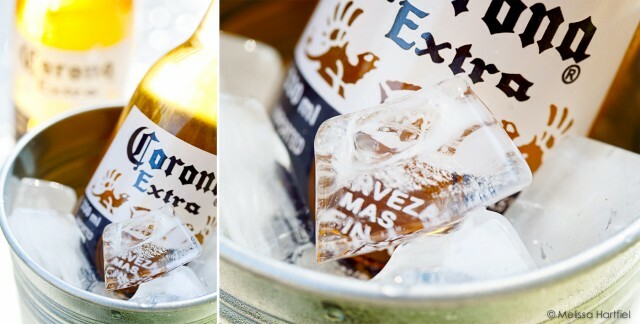 These pictures look really summery!